This Place of Worship was founded in 1931, but we understand it was closed in 1972, and the premises are now in secular use. The booklet Behind the View - Life & Times in Cressbrook (2005) attributes the introduction of Methodism to the village by John OLDFIELD, in 1844, who came to live here from Tideswell. Meetings were held originally in his house, continuing until the building of Cressbrook's own chapel, in 1931, almost 100 years later. During this period, leadership was passed on within the community, its role variously held by William JACKSON, William HAYWARD, and John BURTON, followed by his daughter Hannah, until the Trinity Chapel was built, opposite the then Toll House. 'Trinity House' (as it is now called) is described in Behind the View - Life & Times in Cressbrook (2005) as Cressbrook's newest building. It owes its origins to a sale on April 12th 1926 of a plot of land by mill proprietors Matthew Dickie Junior Ltd. to the trustees of the 'Primitive Methodist Church' for the considerable amount (in those days) of £50. With the help of a mortgage (which was eventually paid off in 1941), a chapel was constructed, with completion in 1931. The building was designed by architect Norman Palmer, working for J.W. Blackhurst of Sheffield. The opening ceremony, on Saturday 25th July that year, at 2:30pm was attended by no less than Edwin Lutyens (designer of the Cenotaph in London), and was followed by divine worship, and afternoon tea (at a shilling per head). Musical accompaniment was provided by 4 guest vocalists, with the organist from Hope Wesleyan Church, and the Cressbrook Silver Band. 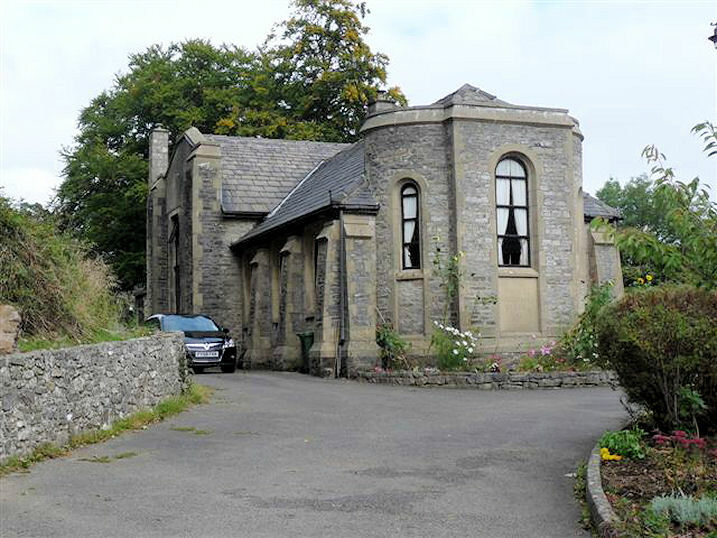 A Separate Building, duly certified for religious worship, named TRINITY METHODIST CHAPEL, situated at Cressbrook, in the civil parish of Litton, in Bakewell registration district, in the county of Derby, was, on the 3rd February, 1933, registered for solemnizing marriages therein, pursuant to 6 & 7 Will. IV, c.85. Dated 4th February 1933. Since that date, and prior to its closure, many local residents have been married in the Chapel, and funeral services have been held there too; however falling attendance by the 1970s meant that it was increasingly difficult to sustain, and on 21st November 1972, the Chapel was sold by the trustees (4 of whom were from the original group of 20) into private ownership. An appropriate notice that "TRINITY METHODIST CHAPEL, Cressbrook, Litton" was no longer used as a place of worship was published in the Gazette of 12th December 1972 (p.14771). The Chapel belonged to the Primitive Methodist Church, Bradwell Circuit. The original meeting place (OLDFIELD's house?) was at 23 Lower Wood Cottages - or "Chapel House" - a name known to have been used locally, and within living memory of some of Cressbrook's older residents. Trinity Methodist Chapel, Cressbrook, Litton shown on a Google Map. Places of Worship in Litton shown on a Google Map. I have found many websites of use whilst compiling the information for this database. Here are some which deserve mention as being of special interest for Cressbrook, Litton, and perhaps to Local History and Places of Worship as a whole. Information last updated on 7 Feb 2015 at 13:52. Please also remember that the former Trinity Methodist Chapel is understood to be in secular use, so care should be taken to preserve the privacy of its occupants. This Report was created 5 Apr 2019 - 15:27:36 BST from information held in the Derbyshire section of the Places of Worship Database. This was last updated on 6 Feb 2019 at 15:49.